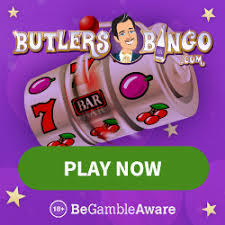 Register for £5 bonus no deposit, deposit £10 or more and get 120 bingo tickets. Register and receive a 300% welcome bonus so deposit £20 get £80 to play with. New players deposit £10 get £60 to play with a 500% bonus. 100% bonus on reloads. Deposit and play with just £10 and get £30 to play, plus 40 spins on the stated slot. Get 120 bingo tickets when you deposit £10 or more..
deposit £10 or more and get 120 bingo tickets. 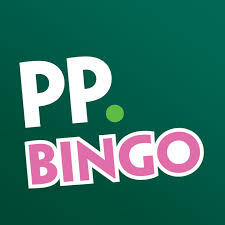 Register and deposit £10 or more and receive 120 bingo tickets. New Customers Only. 50x Wagering Requirements Apply. Max bonus £100. Bonus expires after 7 days, T&C's apply. Fabulous Bingo is the sister site of Sun Bingo. 400% cash match on first deposits so deposit £10 get £50 to play. New customers only. 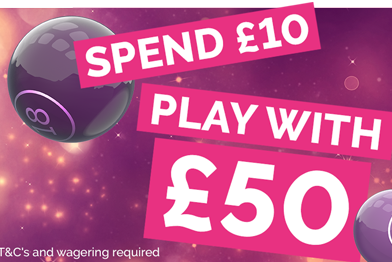 To qualify for the welcome offer, deposit and spend £10 cash on bingo tickets and you will receive a £30 bingo bonus (x3 wagering) and a £10 Side Games bonus (x30 wagering). Bonus expires 7 days after receipt. The bonus amount can never be withdrawn.